If you’re shopping around for a new storage locker to rent, you naturally want to find the best value for your money. Price points in the self storage industry fluctuate a great deal, quite similarly to the monthly rates in the auto insurance industry. Sometimes, you can visit one storage property and get quoted one price for a 10×7 unit that is much different from what you’ll be told when you come back three months later and ask about the same exact unit. This price variation is due to the way that mini storage companies are set up to make money – they change their prices very frequently for several different reasons: staying competitive with other nearby companies, reflecting a massive increase or decrease in vacancy, and to switch things up and try to attract a large influx of new companies. Storage Price Flux: Good or Bad? What does this mean for you as a shopping mini storage customer? It can seem unfair at times, and that no matter what you’re going to get saddled with a bunk storage quote. Quite to the contrary, if you are savvy you can easily work the system to your advantage and ensure that you are always getting the rock bottom storage quote out of the manager you’re speaking with. Here are essential tips for getting the absolute best storage rental quote when you’re shopping around. Getting Great Storage Rates: #1 – Be Nice! Remember that the perspectives of the storage manager and the customers differ a good deal. The manager, unless they are totally desperate for any move-ins that come their way, are always thinking about prospective customers that approach them. Does this customer seem nice and easy to deal with? Will I want to be calling them or speaking to them in person regularly if they spend a lot of time on-property? Do they seem clean cut and likely to be able to make their monthly rent obligations without a problem? If you are polite and friendly when you approach the manager, they will be much more willing to give you a great deal or the inside scoop on specials and tips you can use to lower your monthly rent. It is well known amongst storage managers that rude, pushy and obnoxious customers pay a “difficult tenant premium”, a sort of inside joke referring to the fact that managers will charge an unpleasant tenant the full possible amount and give them no leeway whatsoever when it comes to specials and discounts. So, in this case, as in many others in life, it pays to be personable. Even if the mini storage company you’re storing with doesn’t offer much in the way of move-in specials, you can almost always secure yourself a nice discount by opting to prepay a few months or a year in advance. If you know with certainty that you’re going to need the space for a long time to come, this is a great way to keep some cash in your pocket. Some companies work on a percentage model: pay 6 months ahead, for example, to get 10% off, or a full year to get 20% off. Some facilities will allow you to combine these discounts with other move-in specials like an introductory one-month price or a second month free. Others only allow you to choose one special or discount. Mini storage managers are prepared for customers to come in and say that they are shopping around, so use this to your advantage. Most managers will give you extra concessions on rent and rates when you appear non-committal and mention that you have already toured several other facilities nearby. This signals that you are serious enough about renting storage that you’re willing to examine your options, and this tells the property manager that it’s probably a good idea to try and secure your business. When you use this technique, remember to be polite and pleasant but explain that you haven’t made up your mind yet and that you have to settle soon because your need for storage is pressing. Maybe you’re moving out of an apartment or your things are coming in a container from another state. Whatever the case may be, tell the manager you appreciate their time and that you’ll have to think it over / discuss it with your partner. Make sure you get their contact information, either by taking a business card or asking for their name and phone number. They will likely use this opportunity to ask for your contact info, too. If they ask permission to call you back later if they’re able to work a better deal for you, tell them you’d like that. This is your sign that they are going to go even lower on their monthly rent offering. At this point you should leave and tell them you are going to visit a few more facilities that day. If they call you back later that day, it’s a good sign they are very eager for your business and willing to give you a much better rate than their price sheet designates as standard. Getting Great Storage Rates: #4 Got Skills? Although this storage rate tip may or may not help you during your initial negotiations, you should keep in mind that property managers like taking on tenants with special skills, especially those with professional backgrounds in maintenance, electrical, security and fire safety. If you are a carpenter, electrician or handyman, mention this during your first few chats with the manager. Sometimes something on the mini storage property will require special attention from a skilled professional. Being too busy or unable to handle it themselves, storage managers have been known to enlist the help of one or more of their tenants in exchange for credits on their rent. 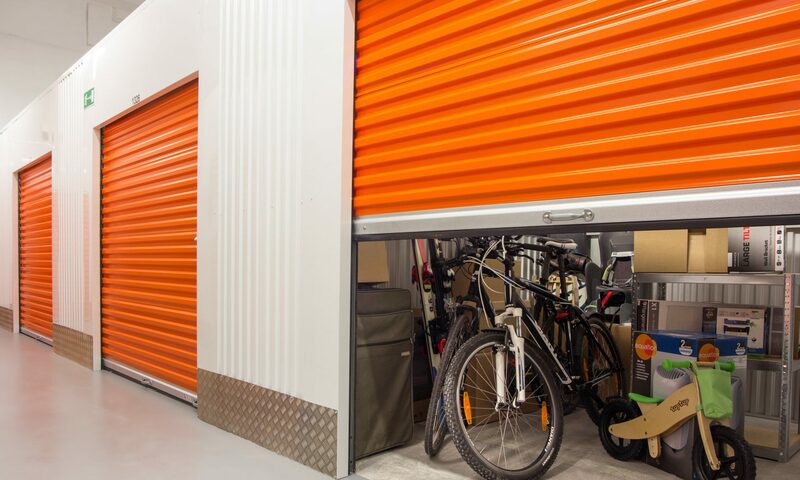 This is a great way to lower your monthly storage bill, although it can’t always be depended upon as regular and it’s ultimately up to the manager’s discretion. However, many managers have been known to give their tenant a free month, even on a large unit, for repairing part of the gate system after someone smacks it down with their car! Previous PostPrevious Reader Question: Can a Manager Buy A Storage Unit Up for Auction? Next PostNext Renting Storage From a Kiosk?